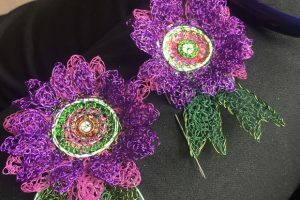 Alison Bailey Smith has been working on a special limited edition heritage collection for this year, to celebrate 100 years of women getting the vote in the UK, with a branded range in her usual style in green, violet and white wire. She is hoping, if she can to make 100 pieces using wire recycled from televisions, plastic reused from packaging, ribbons, so continuing to reduce waste whilst creating beautiful jewellery. 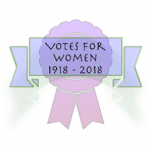 In the UK, the colours – green, white and purple were used by the Women’s Social and Political Union, led by the political activitist – Emmeline Pankhurst. The WSPU was just one of several organisations involved in the suffrage movement, but perhaps the most militant. The three bands on the WSPU flag of Green, White and Violet stood, using the first letters of the respective colours, for Give Women Votes The colours are significant as purple or violet apparently stands for royal blood that flows in the veins of every suffragette, a rare commodity and a favourite colour of her mother’s and her own. 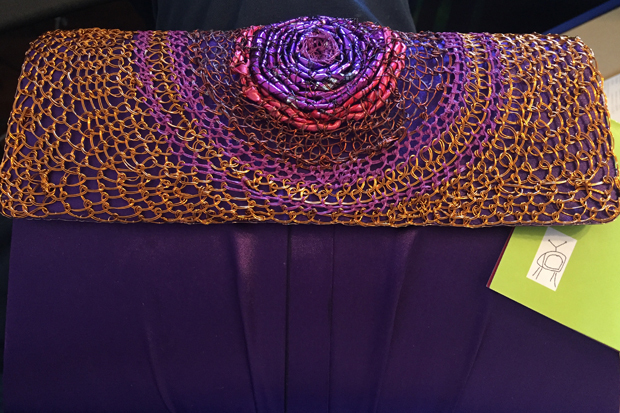 Purple also reflects the instinct of freedom of thought and of dignity. White stands for purity in private and public life and finally green is the colour of hope, the emblem of spring and new life.